Run your small business with the efficiencies of a big business, with the help of The UPS Store Small Business Solutions. 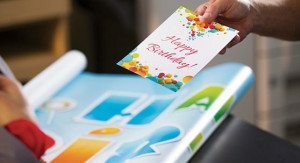 Our in-store products and services, including our printing and shipping services, are presented with your needs in mind. And should you have questions or need assistance solving any challenges along the way, our staff will do everything they can to ensure you’ve what you need to succeed. The UPS Store® is proud to extend to you free enrollment in our GET MORE program. The GET MORE program offers you and your small business the most from The UPS Store services including savings on UPS shipping (when you ship on the store account), in-store printing & mailbox services. Your success is our success. The UPS Store®, your small business partner.